Strategic Intelligence Management introduces both academic researchers and law enforcement professionals to contemporary issues of national security and information management and analysis. This contributed volume draws on state-of-the-art expertise from academics and law enforcement practitioners across the globe. The chapter authors provide background, analysis, and insight on specific topics and case studies. 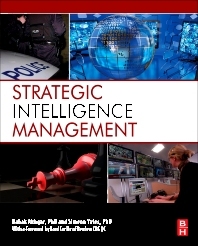 Strategic Intelligent Management explores the technological and social aspects of managing information for contemporary national security imperatives. Academic researchers and graduate students in computer science, information studies, social science, law, terrorism studies, and politics, as well as professionals in the police, law enforcement, security agencies, and government policy organizations will welcome this authoritative and wide-ranging discussion of emerging threats. the University of Liverpool (UK).